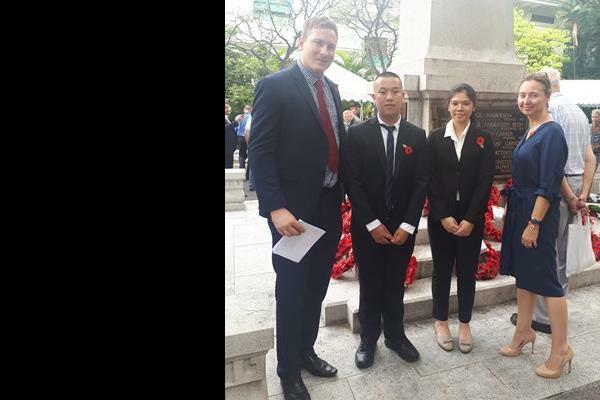 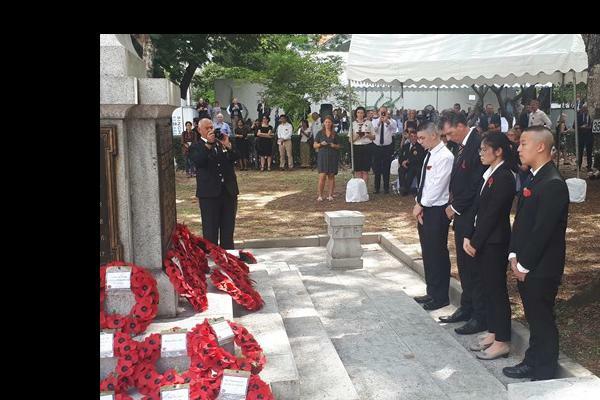 Miss Claire, Mr. Mark, KK and Fah were privileged to attend the Remembrance Day service at the British Embassy on Sunday 11th November. 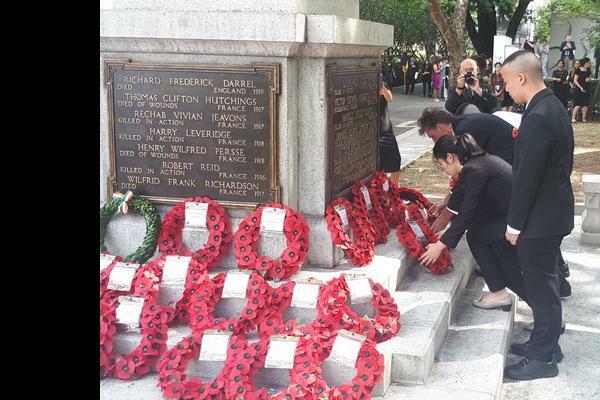 The ceremony marked the 100 year anniversary of the end of World War One. 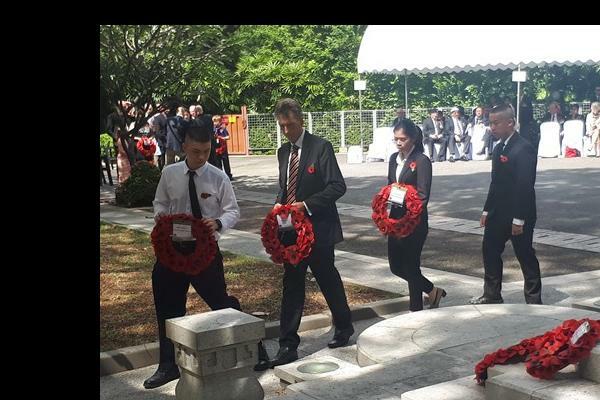 The students laid a wreath and represented the school extremely well.